Two kinds of water fowl for today's November word. 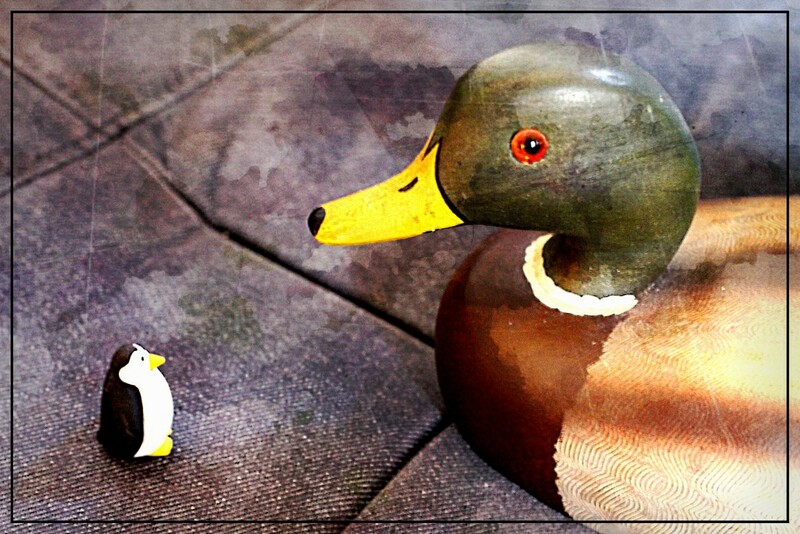 Looks like the mallard is saying - Do I really have to speak to this little thing? A great nice display and capture. Big or small - it all comes down to the word fowl. great entry. The poor little penguin must be traumatised being faced with a giant duck. They make a funny pair! My apologies for a mass thank you! Your views and comments are truly appreciated! What you want to be when you grow up? I want to be duck. @vesna0210 Thank you Vesna! You made me smile.